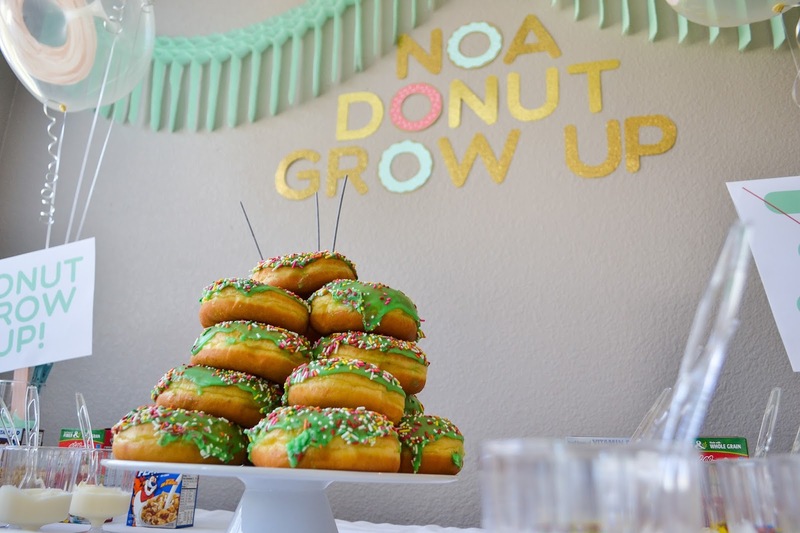 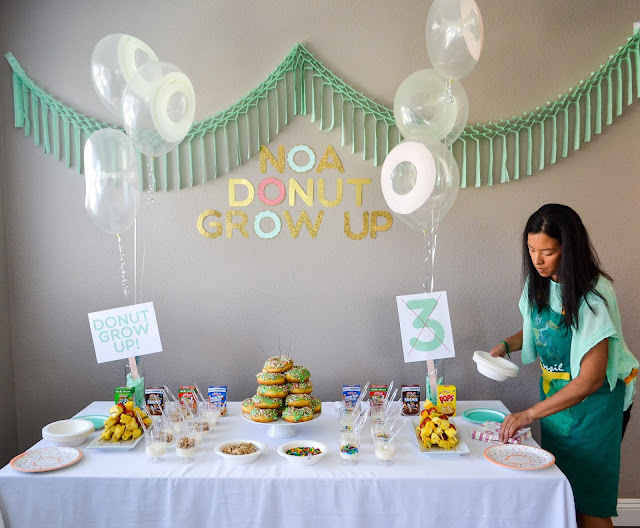 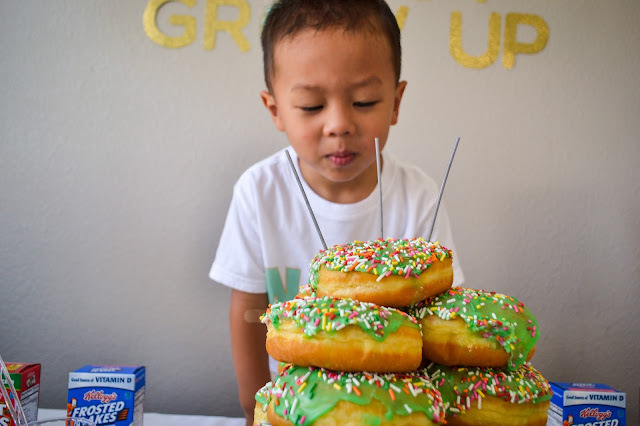 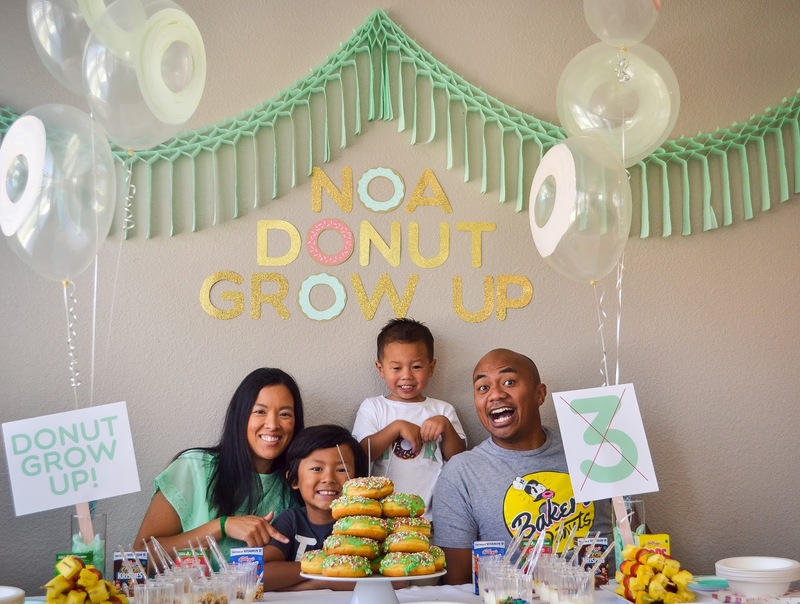 Paixão Designs: Donut Grow Up 3rd Birthday Party! 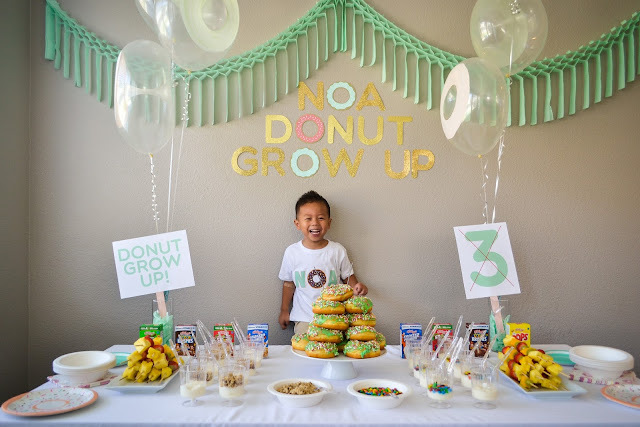 We had a blast celebrating our little boy's 3rd birthday! We had a donut-themed party and had a great protest in his honor! Our menu included: fruit kabobs, yogurt w/granola or m&ms, cereal, and lots of donuts!